This will be the first in an occasional series of posts that offer interactive Web Sketchpad models for drawing conic sections. 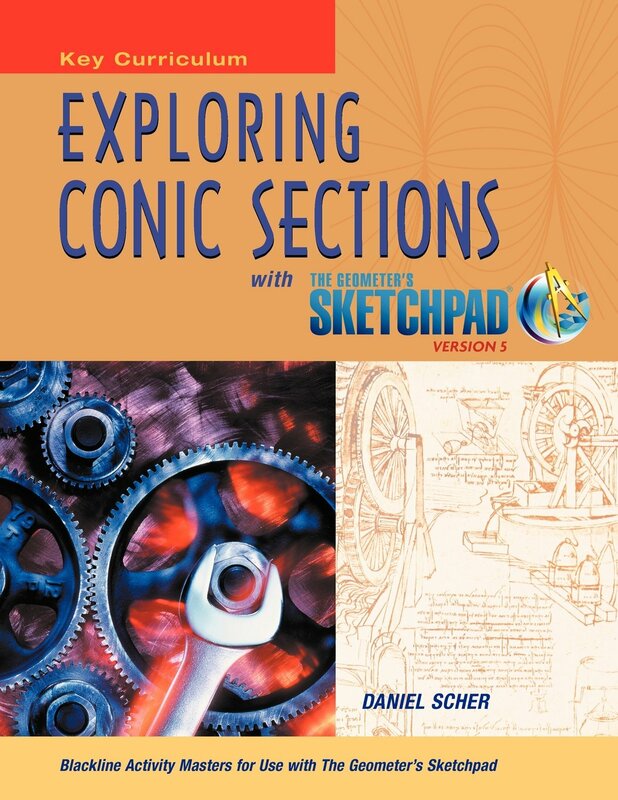 My interest in conic sections dates back to the mid 1990s, when I authored a conic sections book for Key Curriculum Press . That book is still available and was updated a few years ago for Sketchpad 5. You can read more about it in my prior post. While my book is the place to go for worksheets, teacher notes, and pre-built sketches, I’ve always wanted to showcase the models on the web in an interactive form that didn’t require teachers and students to download Sketchpad. With Web Sketchpad, I can provide beautiful renditions of my conic section sketches that you can explore right here in our blog. To inaugurate this series, I’m offering a little-known gem of a technique for drawing ellipses. The Web Sketchpad model below shows three circles. Drag point D or press Animate Point D to watch the red circle with center at point C move. As this circle moves, it remains tangent to the other two circles. Amazingly, point C traces what looks to be an ellipse! To gather more visual evidence, drag point B to other locations so that circle c2 changes its size and location but remains inside circle c1. Then drag or animate point D again and observe the trace of point C. As another option, press the Show Locus button and then drag point B. An ellipse is the set of points C such that the sum of the distances from C to two fixed points A and B (the foci) is constant. The proof is simple and elegant and requires nothing more than basic geometry. While conic sections usually don’t get introduced until precalculus, proofs like this one convince me that there is much to be gained from an earlier start.